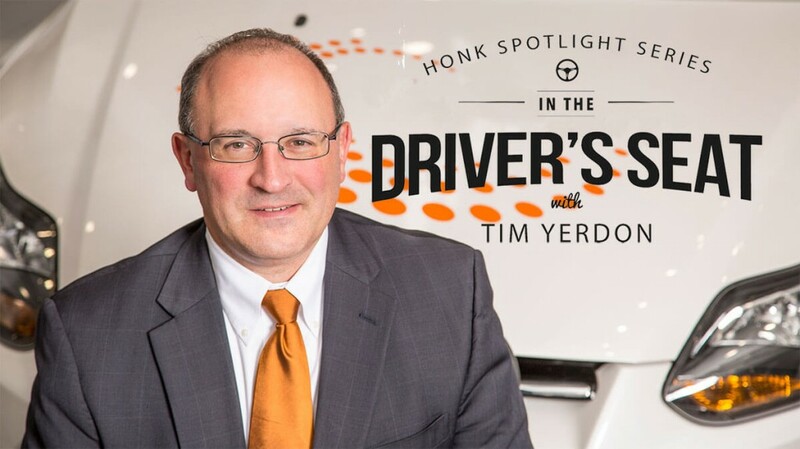 After more than two decades in the automotive and innovation space, Tim Yerdon’s passion for the intersection of the two is contagious. As global leader for marketing and communications at Visteon, he champions collaboration across tech, auto and government agencies to advance automotive electronics. We sat down with this market leader to talk motivations, industry shifts and the future of automotive tech. HONK: What excites you personally about working in the automotive space? What is the biggest challenge for you? Tim Yerdon (TY): It’s the move away from a traditional automotive hierarchy to more of an ecosystem. Every day we are learning something new as consumer electronics, technology and auto converge – there’s more innovation happening now than I’ve seen my entire career in this space. The industry is moving at an incredible pace; automated vehicles have gone from ideas to prototypes to near production in just a few years. The biggest challenge is talent – attracting people with a passion for the product and the technical mindset and skills that are needed for the future. The common thread is software – everything from open-source Linux skills to user experience development, app development and artificial intelligence/machine learning. HONK: A common misconception about tech can be that it’s not human-centric enough. How do you challenge that in your role at Visteon and in your outside life? TY: Although Visteon is a technology company, in our automotive space we always ask the question: “How will this technology create a better experience for the users on board?” Historically we only designed for the driver while driving; now we need to design different experiences for the rear seat occupants, front seat passengers and of course the driver under different levels of automation. We are seeing at least a two-fold increase in electronics content in the vehicle; this means more connectivity and larger displays in the vehicle – not only the ones in the cockpit – all driving these different user experiences. Because I am in this business, I tend to look at the displays and interfaces that I encounter outside of work differently than most people. For example, how easy is the ATM machine to use? How simply can I use my set top box and DVR? Do we need curved displays in auto? Our job is to take the complexity out of the technology and provide a better experience. HONK: With all of the technological advancements that we’ve made in the automotive sphere in recent years (autonomous cars), what do you envision the future of transportation to look like 50 years from now? (TY): In 50 years we probably won’t be talking about automotive as much as mobility. As urban density increases, new mobility challenges will make us rethink traditional automotive. Ride-sharing and car-sharing are just the beginning. The ability to seamlessly travel and transition between modes of transportation will be more prevalent – everything from a bike or bus to train to ferry. After automated vehicles become commonplace, someone undoubtedly will be thinking about a mass-produced flying car. That said, we still have a long way to go to have robust and reliable connectivity, let alone fully autonomous vehicles. The experience of the occupant in a vehicle that can drive itself needs to be explored more fully; we are looking closely at what that experience should be. Even today, a plane can fly itself, but there is still a pilot in cockpit. HONK: Many people aspire to leadership roles, but don’t realize that executives are human too. How have your mistakes shaped you into the leader you are today? (TY): Anyone who went through the hard times with this industry is probably a better leader because of it. I remind myself every day that we must keep changing and growing as an industry and as individuals. Now we have a tremendous opportunity to rebuild this industry into one that is driven by technology. It’s not about Silicon Valley vs. the auto companies. It’s going to take all of us working together in a cohesive ecosystem. The olive branch is being extended across different segments of this ecosystem to find ways to cooperate and move the industry forward. Another lesson is that we have to make decisions quickly. Historically, we have tended to want to study every aspect of every situation from every angle. The industry doesn’t allow that anymore; we have to act with speed. HONK: What does Visteon look for when assessing new technology in the auto vertical? (TY): We look for things that complement our core cockpit electronics products (instrument clusters, head-up displays, information displays, infotainment, connected audio and connectivity/telematics). And we look for solutions that are more software-driven than hardware-driven. Our recent acquisition of AllGo Embedded Systems is a great example; it gives us multimedia playback and smartphone connectivity software, which will strengthen our capabilities in next-generation infotainment systems. We’re as interested in the intellectual capital – the talent – as we are in the intellectual property. We need to have the very best people to deploy these emerging technologies. HONK: Your background includes auto giants like Ford but also leadership roles in tech with the CTA. How has that influenced how you approach innovation? 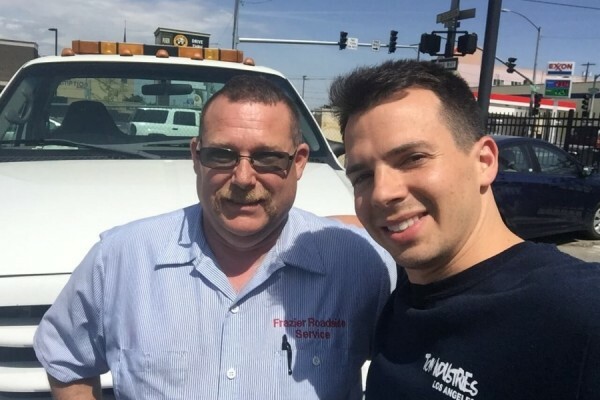 (TY): My experience at Ford grounded me in the realities of manufacturing and making a reliable product. From a Consumer Technology Association perspective, many people don’t realize the breadth of the organization. You have the traditional areas of consumer electronics – but also innovations in wearables, 3D printers, smart homes, drones and beyond. By being involved in different work groups and boards, we are able to keep a better eye on the technology. CTA does a great job of providing a forum to network and inspire innovation for companies like Visteon. HONK: As an innovator in the automotive space, is there any tech in particular that you are excited to see come to market in the coming years? (TY): It’s all about software. Advances in silicon are driving everything we do in this space, whether it’s introducing gaming-like graphics in the car, sensor fusion for ADAS systems, high-definition mapping for automated driving, or artificial intelligence processing. This is all driven by the coming of 4-, 8- and 16-core microprocessors. Just like a mobile phone, this processing power is driving integration to make for a better in-vehicle experience. It’s the same reason we don’t carry a separate digital camera, MP3 player and flip phone – it’s all integrated in the smartphone.